I’d heard of a parkin, whether or not that is the same as a Yorkshire parkin I don’t know. It sounds lovely though. 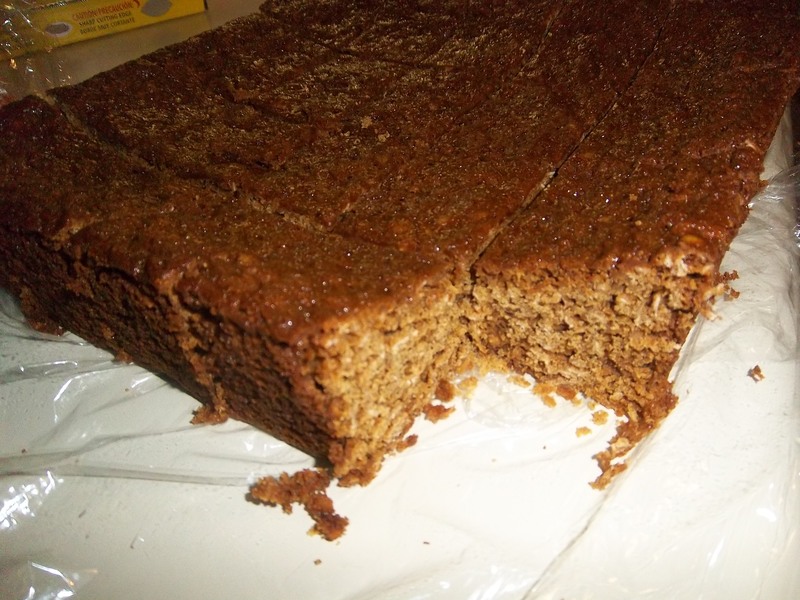 Im a Yorkshire lass and have made Yorkshire Parkin on numerous occasions, the best way is to once cooled wrap in cling wrap or tin foil and put in air tight tin and leave for at least 3 week, Thats if you can bear to leave it that long, ooooh its very painful, taste buds tingle thinking about it. The flavours are devine and the outerside texture should be slightly sticky. Now see what you think, enjoy!!!! Hi Carol – I know all about the virtues of patience regarding parkin, and you are correct! 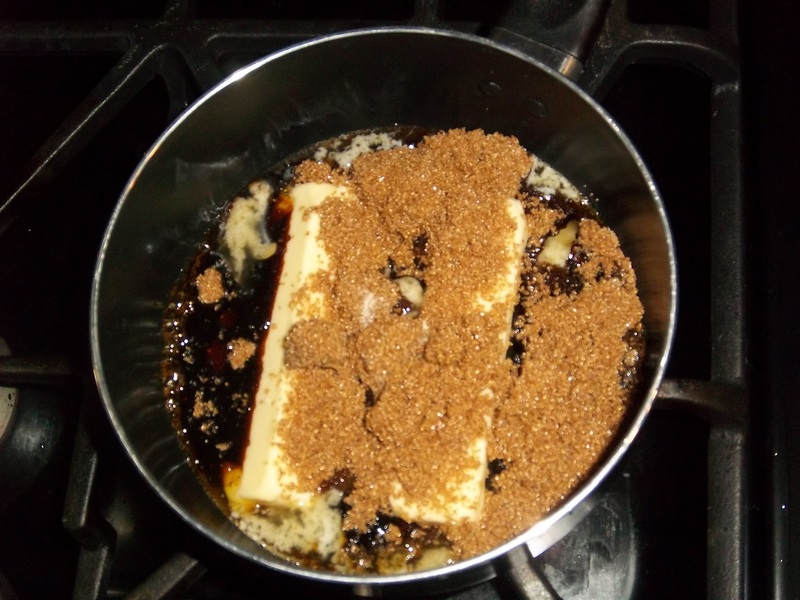 If you really, really can’t get golden syrup (and it was unobtainable in Tulsa when I lived there) you can substitute light molasses for all the golden syrup and about half the black treacle. The flavour isn’t quite right but it does get properly sticky. As you say, corn syrup simply doesn’t work – it just won’t mature and moisten properly. I always run scotch tape round the edge of the cake tin to make sure it is fully airtight. Thanks Kathryn! I was pretty good I must say. And yummy it was, though I didn’t have any tea. I’m thinking it would go well with bourbon too, an entirely different effect. I don’t have self-raising flour. Is that something commonly used in ancient or modern Britain? Does it just have baking powder and maybe salt in it? Why not start with regular flour? Please advise. Thanks for this – I’m going to veganise this to make tomorrow. Looking forward to checking out the rest of your blog. Hi Mark. Thanks for the comment – I have a question for you. How do you replace eggs when you want to veganise something…? It depends on what role the egg plays. Flax seed with a little water works well or nut butter. Did you have a recipe in mind? I had nothing in mind, was just wondering if there was a particular thing like xanthan gum as a replacement for gluten in gluten-free flour. You can buy egg replacement products but I have never tried them. One reason I like to bake is avoiding weird artificial junk hiding in food. it’s good to see that you avoid the weird stuff. I shop in a vegan grocers and there are some very strange things in there. How the heck does vegan cheese work!? It can’t be right! I am eating the parkin now by the way. It is delicious. A close texture but very moist and sticky. Glad it worked out. I’ve picked up some tips from you too! This is my vegan recipe for Parkin http://herbifit.com/2013/11/04/traditional-yorkshire-parkin/ as you can see i just left out the eggs. I’m not sure what they would have added. Any ideas? I also left out the milk. Usually I would add a nut milk but the batter was already very runny. 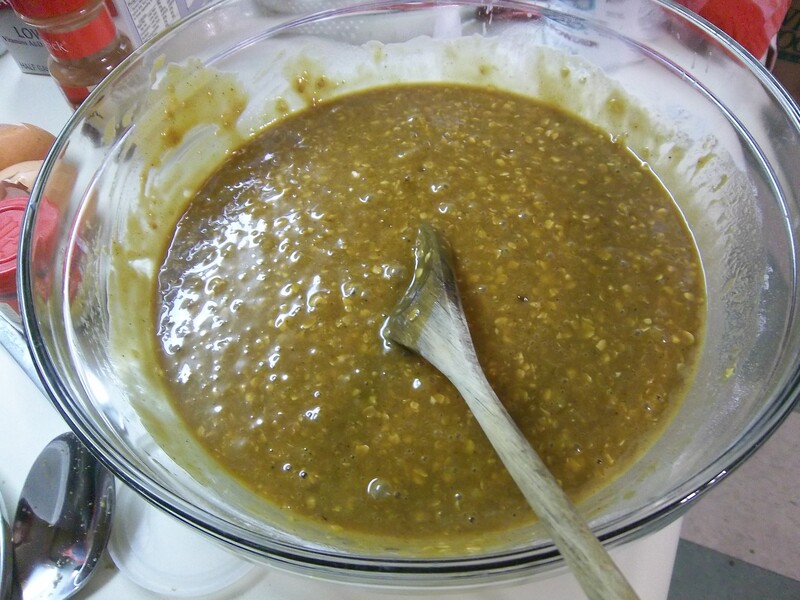 it is a pretty runny mixture – did it turn out well with no eggs? They do give the cake its structure as bubbles form, the egg proteins solidify the bubbles. I would expect less of a rise and a crumblier texture with no eggs…. That is often a feature of vegan baking – you do get a dense cake. The mix of self raising flour and baking powder gave it some rise. We made a Parkin (or would it just be “we made Parkin”?) to go along with my kids’ history lesson this week! The recipe in their history book called for molasses and honey, and it didn’t say anything about letting it sit before eating. Nor did it mention the tea and the fire. 🙂 I can’t do anything about the golden syrup at this point, but at least I know to put it away for a day or two before we try it. Thanks for the info! Thanks Nicole for the comment – I bet it tasted very good with honey instead of golden syrup, very medieval! Try Amazon for the golden syrup. Hi Buttery77 I am trying to find a recipe for Parkin, to make it as I remember it. The ones we ate had pinhead oats in it (I think) as it was quite “gritty”. I think it had vinegar in it too. Any suggestions ? Hi Marie – sorry for the slow reply. I’ve checked loads of recipes and I’ve not found a single one with vinegar in it! I assume it is there to activate the bicarbonate of soda/bsking powder to get a good rise. All the recipes I looked up used medium oatmeal, and it does give a gritty texture to it. Pinhead and fine oatmeal is hard to find these days and I admit to never having used it before. Hope my vagueness is some help there! Paul Hollywood has a 19th Century recipe that uses vinegar.